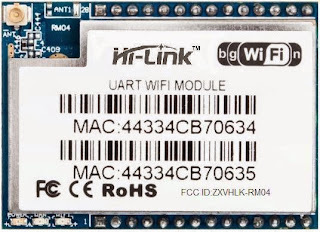 HLK-RM04 is one of those cheap Wifi <-> UART modules which started to appear in the market. This kind of module basically abstracts all the TCP/IP and Wifi stuff, enabling use it as an easy web socket to/from serial port solution. Here you can see how to use it. The module supports two wifi modes: client, that connects to an existing Access Point (AP), like your home/internet AP or Android HotSpot, and server, which creates an AP, with the chosen name (SSID) and password (Key). Although this is the configuration software, it's just an interface that sends (under the hood) AT commands to the module, which is how you can program your wifi module using a microcontroller in some real application, because of course, you will not be able to use this software! 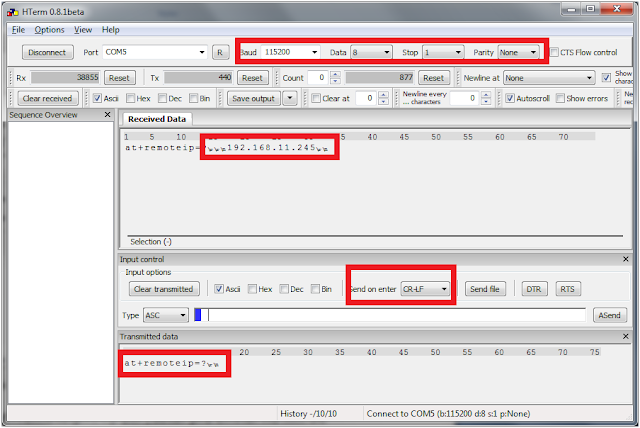 Here let's create a TCP/IP <-> UART server in the wifi module, just configure it like the fields in the above image, but pay attention, here is another trick! the web page has a bug, so to unlock the IP field select "Client" first, then "Server". Now the module is ready! 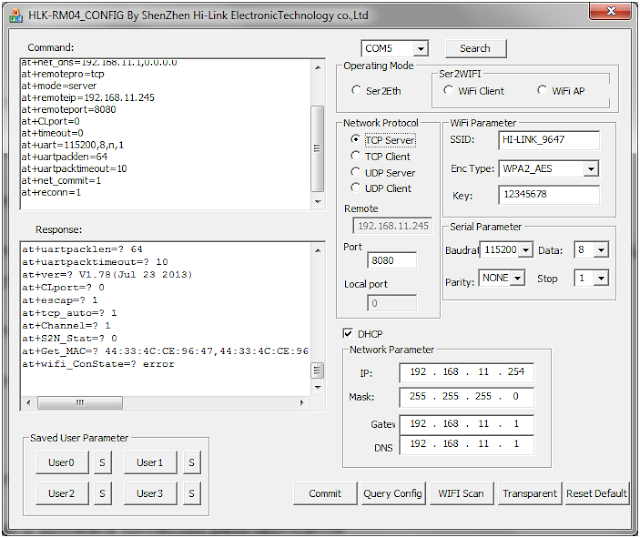 just use any TCP/IP socket client like netcat for Linux users or putty for Windows, connect to the module address, send/receive data and look them in the terminal software being received by the UART, then do the opposite way, send through the terminal software and look in the client software! 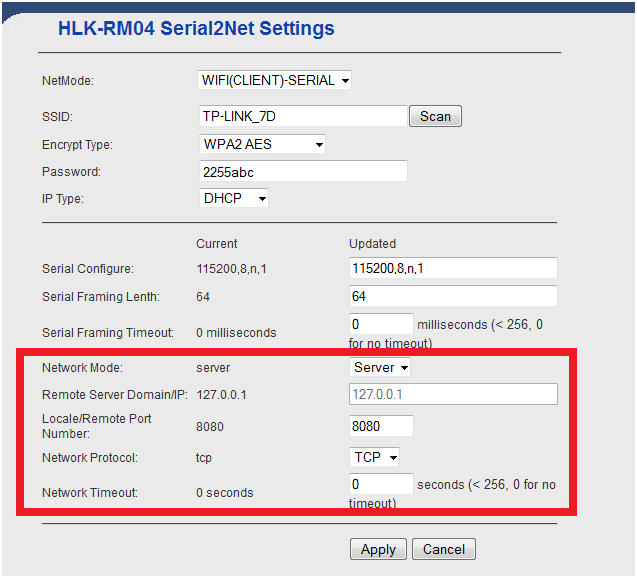 Can HLK RM04 WiFi module detect and get signal strength of other routers in its vicinity? Hello Trilok, unfortunately I don't have the module anymore, but I got one of the firsts, so maybe now the configurations and/or firmware have changed, try to find a newer tutorial or read the newer datasheet version. Good luck! Thanks for the post - saved me from never ending issues with module and rightly pointed me to software bugs and way ahead. Observed in my case that if you do not have 2 or more wifi networks in close range, after scanning network, the web page simply does nothing after clicking apply button - I started my mobile's WIFI-hotspot and then it worked (i.e. selecting and applying my home wifi network) just fine.